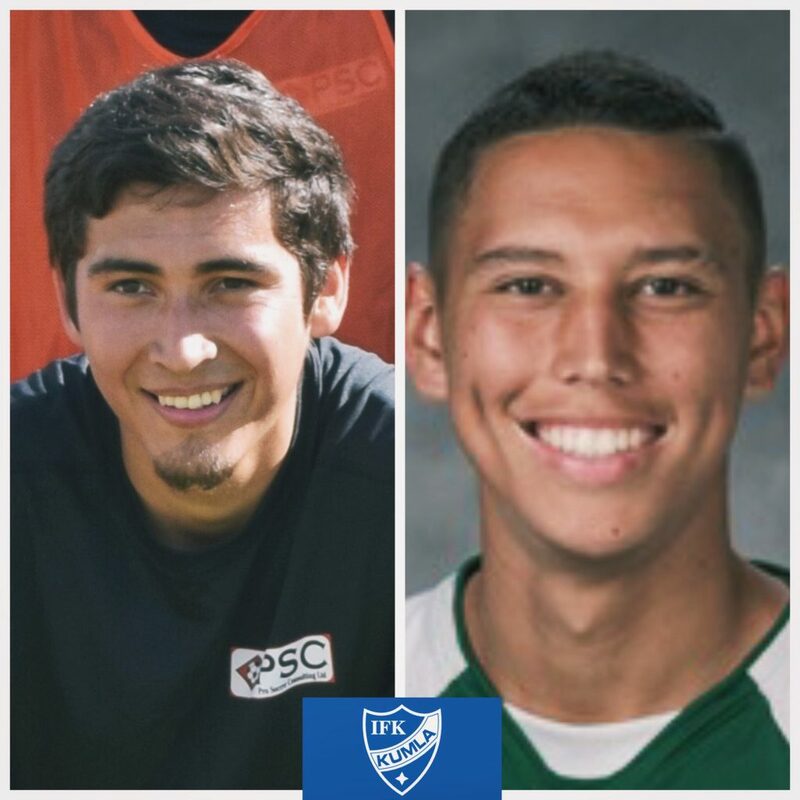 2017 PSC Pro Soccer Combine attendees Juan Camacho and John Quintanilla have signed with Swedish Division 2 outfit IFK Kumla. The centre-backs impressed coaches during PSC’s Los Angeles tryout event earlier this summer, and were invited over to Sweden to trial with Kumla and fellow Division 2 side Karlslunds IF HFK. Camacho and Quintanilla went on to stand out during their trial periods with Kumla, and the club’s Head Coach, Ted Waltersson-Larsson, opted to sign both players – a decision he believes will be of great benefit to his side. “Juan and John bring character and aggression to the team,” said Waltersson-Larsson. Sharing the Knowledge: IFK Kumla Head Coach Ted Waltersson-Larsson (left) speaking to PSC’s 2016 Residential players. And for Camacho and Quintanilla, sporting the colours of Kumla spells the beginning of a new life, both on and off the pitch, across the Atlantic – a new life consisting of a host of challenges and goals – according to Camacho. 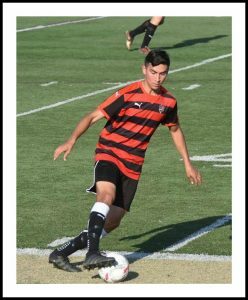 “I’m expecting the speed of play to be much quicker in Sweden,” said former Valley United (UPSL) player, Camacho. “But the biggest challenge I will face, both on and off the field, is the language barrier. I’m lucky, because my teammates all speak English and they’re doing everything they can to ensure we’re all on the same page. “That’s not to say I’m not learning some Swedish here and there – my teammates are showing me some new words and phrases and I’m really grateful for their help. It all works towards building that team chemistry that’s crucial in getting results. “I’m really looking forward to getting started and I’m hoping that we can finish the second half of the season strong,” continued the 25-year-old defender. Former San Francisco City F.C. (PDL) player, Quintanilla, also revealed the challenges he expects to face and the goals he’s looking to reach upon beginning life on Scandinavian soil. He said: “For me, the biggest challenge will be getting to know my teammates and learning how their style of play differs from mine. There are some language barriers, but the fact that most people can speak English here is a big help. “In Sweden there are many differences, in terms of style of play, from what I’m used to in the PDL. I feel that the PDL is more centered around physicality, whereas the Swedish style of play focuses on technical ability and tactics. Defence to Attack: Juan Camacho in action for his former club, Valley United. And concluding their thoughts, both players were thankful for the opportunities they had been provided with while working with PSC. 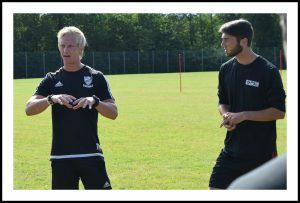 “PSC provide the stage for players to demonstrate they have what it takes to play at the professional level,” said Camacho. PSC will be returning to Los Angeles later this year as part of six Men’s Pro Soccer Combines – set to be staged in November, December and January. If you would like to follow in the footsteps of Juan and John, please e-mail info@pscltd.co.uk for more information on PSC’s programmes.